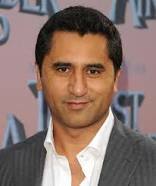 Cliff Curtis who plays Travis Manawa, a high school English teacher, Madison’s fiance and a divorced teacher who shares custody of his son Chris with ex-wife Liza, is a native New Zealand born actor who has been in several movies such as Whale Rider, Once Were Warriors, Blow, and The Dark Horse. His television roles include NBC series Trauma, and Body of Proof, and starring in ABC’s Missing. He has played both Latin and Arabic characters in his career. I have seen him on the show Trauma as the character Reuben “Rabbit” Palchuck. I really related to his character as he played an emt who had a traumatic childhood. Cliff plays, in my opinion, strong characters who most people wouldn’t suspect of having the depth that he does. He may not be Clint Eastwood strong or Mel Gibson strong but I definitely see a quiet strength and determination that I feel will be a blend of Rick and Morgan from the original show, The Walking Dead. He has a petulant son who defies him, just as Carl does at times with Rick. Cliff’s character Travis will have his work cut out for him in keeping his blended family together in the crumbling world around him. Kim Dickens who plays Madison Clark, a high school guidance counselor and is the single mother of Alicia and Nick. Kim is an American actress who is best known for her roles in the HBO dramas Deadwood (2004–06) and Treme (2010–13). Dickens also had supporting roles in films Mercury Rising (1998), Hollow Man (2000),House of Sand and Fog (2003), The Blind Side (2009), and Gone Girl (2014). Madison has had her “Flu shot” so continues to attend her duties as a guidance counselor. She has the tough job of keeping the kids from getting scared and spreading potentially false rumors, and keeping everyone calm as the world seems to fall apart around them. I see a possible blend of Lori and Andrea in her character Madison. It will be interesting to see. Frank Dillane as Nick Clark, Madison’s college-flunk out son who is battling a drug problem. Frank Dillane is an English actor, known for playing Owen Coffin in In the Heart of the Sea and Tom Riddle in Harry Potter and the Half-Blood Prince. This young man has grown so much since his days on the Harry Potter Franchise as young Tom Riddle. He has changed and seems to have immersed himself in the character wholeheartedly. He is a stereotypical blend of young college dropout with a drug problem and one of the first to see the feeding frenzy going on at the drug house. His character Nick, has a lot of developing to go through during the show, what with trying to get people to believe what he saw and also go through drug withdrawals as they begin the fight for their lives. Alycia Debnam – Carey who plays Alicia Clark, Madison’s high-achieving and ambitious daughter who is in a relationship with her jock boyfriend Matt. 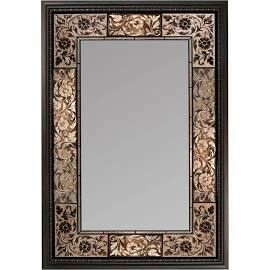 She is able to read situations well and often finds herself at odds with Nick due to his unmotivated nature. Alycia is an Australian actress. She is best known for her roles in the 2014 films Into the Storm and The Devil’s Hand. Debnam-Carey is also known for her current portrayal of “Lexa” in The CW series, The 100. Alycia’s character is the opposite of Nick in that she is an over achiever looking for solutions. I see her as a wonderful blend of Beth and Maggie. She has a quiet strength and determination that Beth seemed to lack at times but Maggie had in spades. It will be interesting to see her character development as well going from someone who knows the rules to living on the run and off the grid so to speak. Elizabeth Rodriquez as Liza, Travis’s ex-wife and mother to their son Chris. A free-spirited bohemian type, she is attempting to rebound from her disastrous marriage. She is in nursing school. Elizabeth is an American actress. She received a Tony Award nomination, and won the Outer Critics Circle Award, as well as a Theatre World Award, for her performance in Stephen Adly Guirgis 2011 play on Broadway, The Motherf*cker with the Hat. Rodriguez is best known for her role as Aleida Diaz in the Netflix comedy-drama series, Orange Is the New Black (2013–present). Elizabeth’s Character Liza will definitely be of great use with her nursing skills in the coming apocalypse. She is a woman who already has a lot on her plate and is about to be overloaded with even more bad news when her son Chris, seems to be swallowed up by the chaos that ensues. Will she have the strength to carry on like Michonne? Only time will tell. 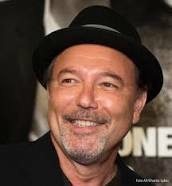 Ruben Blades as Daniel Salazar, Ofelia’s father. He is a barber that moves his family to LA from a different culture decades ago to start fresh. Ruben is a Panamanian salsa singer, songwriter, actor, Latin jazz musician, and activist, performing musically most often in the Afro-Cuban and Latin jazz genres. Ruben is a true heavy hitter with the star power in that he has appeared in many movies and television shows spanning a career since 1983. He is a world renowned Latin Jazz singer, who has been active since 1968 in the music industry. Ruben’s Character Daniel is a force to be reckoned with. He has a quiet strength who will stand by his family and defend his own. Reluctantly he accepts Travis’s family during the fallout but make no mistake. He will protect his own. Mercedes Mason as Ofelia Salazar, born and raised in the U.S. and protective of her immigrant parents. Mercedes is sometimes credited as Mercedes Masohn, is a Swedish American actress known for playing the role of Zondra in the American television series Chuck and the role of Isabel Zambada in the American procedural drama The Finder. She starred in the 2011 American horror film Quarantine 2: Terminal. She played Louise Leonard in the 2012–13 American supernatural drama 666 Park Avenue. Mercedes character Ofelia, is another with a strong familial protective side to her. It will be interesting to see who will help keep this main group of characters together as the show progresses beyond the first show. Could she be a love interest for Chris or Nick? Or will she become a strong independent woman who looks for more character and strength in her partner than what the two young men show at the beginning. Lorenzo James Henrie who plays Chris Manawa, Travis and Liza’s son, who resents his father for their divorce. Lorenzo is an actor, known for Star Trek(2009), Almost Kings (2010) and Paul Blart: Mall Cop 2. Lorenzo’s character Chris looks like, in the beginning, that he gets swallowed up by the crowd and is lost in a sea of chaos. It is very plain in the previews that Chris resents his dad for the divorce and leaving both him and his mother to start a new family with Madison and her kids. It will be interesting to see how this all plays out and how the teenage and young adult kids work out their differences to work together for survival. There you have it, the main characters that are to be seen during the first season of the show. Who will survive and who will thrive in the newly developing world. I am looking forward to this show and have high hopes that it will be able to catapult itself into the cult status that The Walking Dead has become. With many awaiting with baited breath, (pun intended) for the sound of walkers to fill the screen and a refreshing look at the collapse of a large city like Los Angeles. What are your thoughts and do you think it will be a hit or a miss? Everyone has advice to follow of how to become the next successful writer. Stephen King obviously has ideas on what you should or shouldn’t do. A good friend of mine, Martin Crosbie has really good ideas of ways to go about getting your book out there and noticed. Go on amazon.com and just type in How to Publish and you will see hundreds if not thousands of books giving you advice, ideas and in some cases, lectures of what to do and what not to do. Everyone of these authors has found what works for them. Trust me, it works really well for them. The thing most fail to realize is that you have to find what combination of the “success formula” works best for you! Is it a bit of Stephen, a dash of Martin and a little Matthew Davenport for good measure. All of the ideas and plans used by these folks are all good and work. The key is finding what works best for you. Stephen King says cut out tv and write in a room with no distractions. Terry Brooks, from my understanding writes in silence as well. Others, like to write with a cat on their lap, like the one that is on mine now, helping me type. Others want noise, tv going, kids playing, music playing, or any of the above and more.to help them get into the writing zone. Some say you have to get the whole thing written in no more than 3 months time otherwise you will lose your flow of the story. Some people crank out stories in several days, weeks, or like me, some of our stories have taken over a year to complete. Some people write daily, and they say you aren’t a true writer unless yo do write daily. That, again is not always true either. Sometimes life happens and doesn’t allow you to write daily. Online marketing is another little nightmare that can be hard to figure out and many have an opinion on. The thing most need to know about, remember and just plain relax on is this. Experiment with things, facebook, twitter, Google +, LinkedIn, or the hundreds of other sites that you frequent. Test the waters there and see what kind of reaction you get. Avoid the “Buy my book” angle though. It can be hard, but it is doable. Are there going to be things that just don’t work for you? Heck yes! 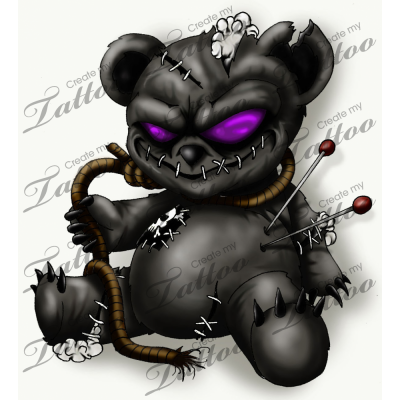 not very good with Twitter, that’s o.k. Don’t have a clue as to how to work Goodreads. That’s perfectly alright as well. There are plenty of people out there willing to help you out and teach you how to at least get a basic working knowledge of it. A good friend of mine, Cassidy Frazee writes like a machine! She blocks everything out, is organized and knows how she wants the story to go. Me? I am a fly by the seat of my pants writer. I have a general idea of the story but when I’m writing it, I often get surprised by a turn of events I didn’t plan or see coming. Others jump around in their stories writing this part, then going back to that part. That would drive me nuts! A good friend gave me a bit of advice a long time ago that I still use to this day. “Everyone has advice on life, raising babies, how to publish, etc. Take the advice you want or works for you, use it and throw the rest away. It’s the same with publishing. When you aren’t selling millions like Stephen King, “But I followed his advice to the letter! but I did notice that part worked some for us” Or you aren’t selling thousands like Martin Crosbie, “Again, I followed his book and did all the homework! but that bit on the facebooking and the places to get advertising worked pretty well.” That’s o.k! you just need to find what works for you and your book. You aren’t Stephen King or Martin Crosbie or even Cassidy Frazee. Take what is working for you, make it better and keep exploring and trying new things. One day you will notice that you are doing exactly what you are meant to do and what works best for you. Just as you have to keep your voice in the story, you have to write and market in a way that works best for you and your book. Keep learning, keep growing, find new ways and ideas. If it doesn’t work, that’s o.k just move on to the next thing and take note of the things that do work for you. The thing to remember is to keep going, keep writing and don’t stop learning.